The Trail Smoke Eaters return home to the Trail Memorial Centre in search of the win column as they host the Island Division’s Alberni Valley Bulldogs on Friday night for the lone time this season. The Smoke Eaters and Bulldogs conclude their short season series tonight after Alberni Valley made the trip to the Kootenays a week ago, dropping a 7-3 decision to Trail. Braeden Tuck had two goals and two assists for a four-point night while Levi Glasman earned three assists in the win. Kent Johnson scored twice while Jeremy Smith, Mack Byers and Tyler Ghirardosi potted the other markers. Adam Marcoux made 30 saves on 33 shots to help Trail to the victory on home ice. 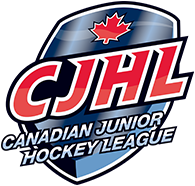 Trail enters Saturday night’s contest after a strong showing to begin the three-game weekend with a 3-1 victory over the Powell River Kings at the Hap Parker Arena on Friday. Blake Sidoni and Carter Jones registered a goal and an assist each while Braeden Tuck found the empty net with 43 seconds remaining to secure the win. Marcoux was excellent in the Trail net, making 31 saves on 32 shots for his 5th win of the season. The trio of Jones, Sidoni and Ghirardosi was the line fueling the offense a night ago for the Smoke Eaters, collecting two goals and three assists as a line. Jones, who now has points in three straight games, and Sidoni connected in the opening period, each scoring once and assisting on another while Ghirardosi finished the night with one assist and made a couple of very strong plays defensively on the penalty kill to help Trail edge out the victory. The Smoke Eaters will look to sweep the season set against the Bulldogs for the second straight year after convincing victories during the 2017/18 season. These two teams have been pretty evenly matched over the past three seasons up to this point with Alberni Valley sweeping the season set in 2016/17 and the two side splitting the 2015/16 series at a game apiece. After a terrific night in goal from 20-year-old Adam Marcoux, 18-year-old netminder Tanner Marshall gets his second start of the season. The Kelowna, BC native fared well in his last start, posting 24 saves on 26 shots at the Bauer BCHL Showcase against the Powell River Kings in a 2-1 defeat but was a bright spot for the Smoke Eaters in the game. The Bulldogs enter Saturday night after falling just short in a 4-3 loss to the Merritt Centennials on Friday night on home ice. 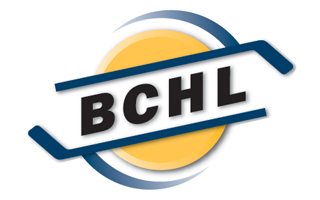 Nicholas Seitz, Mitch Deelstra and Ryan Miotto each found the back of the net for Alberni but a late goal with 1:26 remaining from returning forward Bradley Cocca powered the Cents to the win. John Hawthorne started the game for the ‘Dogs, turning aside 29 of the 33 shots he faced in his 5th loss of the season. It has been a bit of trouble for the Bulldogs in the opening month of the season to find the back of the net, although goal scoring over the past three games has not been an issue. Coming into the game last Friday in Trail, the ‘Dogs sat last in the BCHL with 8 goals for but have worked their way out of that spot, scoring 11 goals in their last four games and now sit with 19 on the season, two ahead of the Cowichan Valley Capitals for the bottom spot in the BCHL. Having trouble with goal scoring, forward Nicholas Seitz has stepped up and been one of the more consistent offensive threats for the Bulldogs over the past four games. The New York, New York native has collected points in three of the last four games, including goals in two of those contests and scored one of the three markers in Trail against the Smoke Eaters. Seitz has earned a commitment to Princeton University for the 2020/21 season and is showing the Tigers he was worthy of the scholarship. Home ice has not been kind to Alberni Valley this season, opening the year 0-3-0-0 at the Weyerhaeuser Arena. The Bulldogs have been outscored 13-4 when playing at home after going 11-13-0-3 in their building a season ago in 2017/18. The Bulldogs will not be seeing much of the Weyerhaeuser Arena with four of their next five games coming on the road. The Smoke Eaters and Bulldogs will get things started with a puck drop at 7:00 PM from the Weyerhaeuser Arena in Port Alberni. The pre-game show goes at 6:50 PM on mixlr.com/trail-smoke-eaters as well as HockeyTV.com with the Voice of the Smoke Eaters, Trevor Miller.